"Tuxinwen Lite" provides real-time hot keywords and pictures to help you access top stories around the world on your tablet and smartphone. You can view the most popluar keywords and pictures on "Tuxinwen Lite".Check more news and pictures by clicking on a keyword. You can quickly get a glimpse of what's happening around the world. 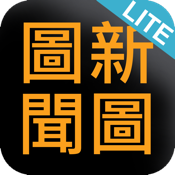 Whether you want to check the news or find information, everything is at your fingertips with "Tuxinwen Lite"! - Display the hottest keywords by pictures. - Switch categories by scrolling left or right. - Pull down and release to refresh the keywords. - Get popular information just by a glance. - Simple form and function. - Available in 22 languages. Please leave a message on HitAsk(http://hitask.hithot.cc/tags/tuxinwen/).